Mali Mish - Day 83: First night away from Mali Mish in Louisville. 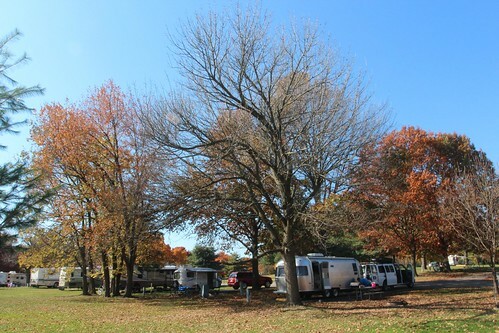 As I was packing up to get ready to leave the Kentucky Horse Park this morning, I struck up a conversation with our new neighbors who came to the campground yesterday afternoon in their new 2012 Casita camper. I have always been a fan of the Casitas and Scamps. They are great little campers and if we didn’t have kids and pets, it would make an ideal, go-anywhere kind of camper. Charlie and Linda are from Brown County, Indiana. 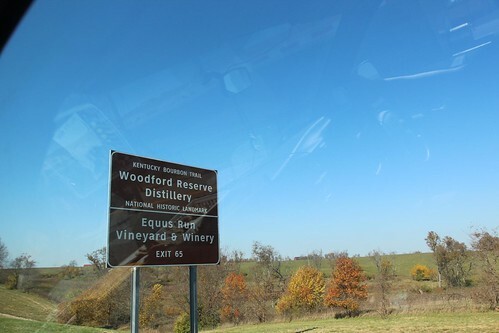 It is in the southern part of the state not too far from the Kentucky border. They are on their way home from a trip to Key West and Sanibel, 2 of our favorite places in Florida. 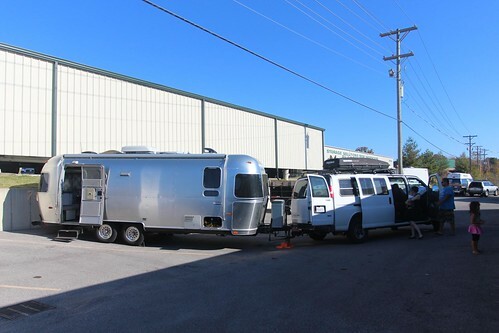 They saw our website decal on the back of the Airstream and, thanks to the blazing fast and reliable WiFi here at the horse park, got a chance to read a few blog posts. There are lots of reasons why we blog and meet new people through it is one of the best. 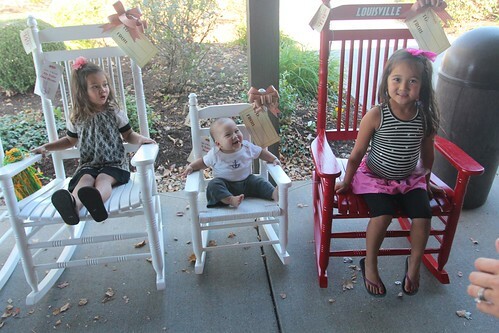 We are visiting our friend Carrie who moved here last November to Louisville. She lives in an old 3-story Victorian home with 6 bedrooms in Old Louisville. Instead of finding a campground during our stay here, Carrie invited for us to stay with her at the house. We typically would have just preferred to stay in the Mish, but since there aren’t really any campgrounds near and she doesn’t have RV parking options at her house, we will be paying for a month of storage at a nearby facility and keeping it there for a few days. Even though it is warm right now, we will be seeing nights in the 30s. Carrie has two dogs that live with her so bringing Yoda with us is out of the question. She will have to live in the Mish by herself at the storage place. 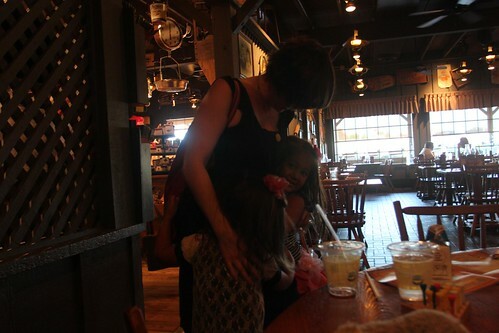 We met up with Carrie at the Cracker Barrel near the storage place. The girls were thrilled to see her. They have been anticipating it since the beginning of our trip. For $80 a month, Yoda and the Mish will be living here for the next week or two. We had to pay for the whole month but that is still much cheaper than paying a nightly rate at a campground. This storage facility seems to be very safe and has 24-hour access which will be nice when we pay Yoda a visit. 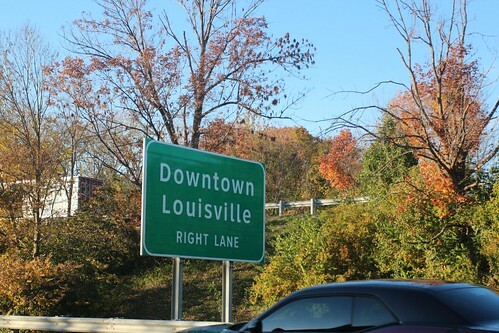 Just like Cincinnati, Louisville is on the state border along the Ohio river. 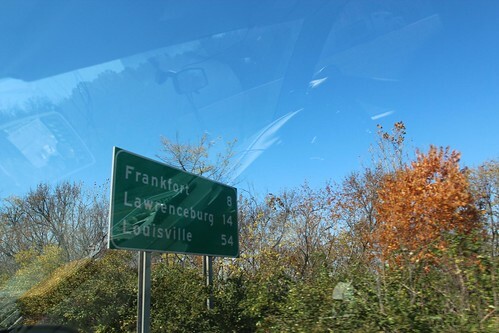 Right across the river is Indiana. Louisville is the southern most city in the Great Lakes Megalopolis. Yeah, I know, it is actually a real thing. It includes Minneapolis-St Paul to the west, Buffalo to the east, Milwaukee to the north and every mid-western city in between. 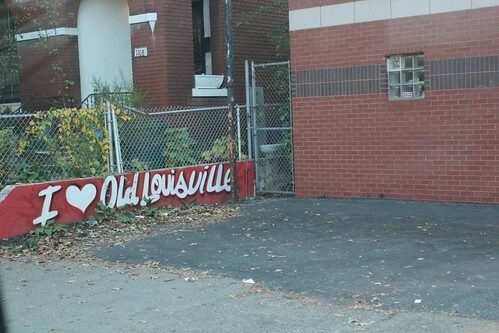 Old Louisville is actually not the oldest part of Louisville. However it is one of the biggest historical districts in the country with mostly Victorian-style homes throughout. 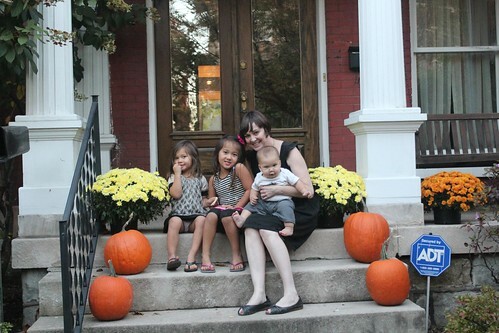 Carrie bought a beautifully renovated Victorian home built in the 1800s right in Old Louisville. She is coming up on a full year of living here and is loving every second. The girls have not had this much space to stretch out in for a long time. I think it is going to be tough when we leave here. This is Carrie’s first fall here in Louisville. 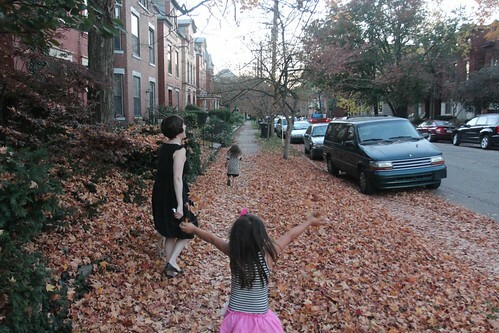 When she first moved here last November, most of the leaves had already fallen. The girls took a walk with her and the dogs shortly after we got here and upon seeing this sidewalk full of leaves, they couldn’t help themselves but to trample through it. 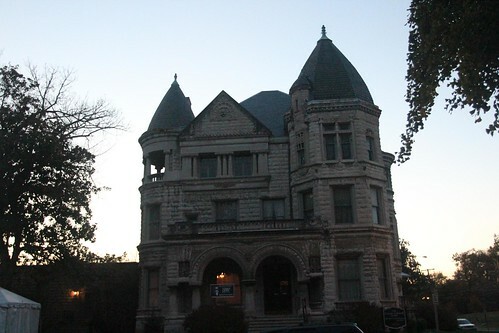 This is one of the most famous Victorian houses in the neighborhood. It is called the Conrad-Caldwell House Museum. It is open for visits Wednesday through Sunday. 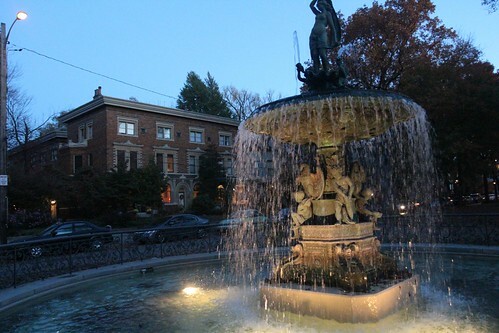 The Conrad-Caldwell house is in the St. James court area full of amazing Victoria homes as well as this water fountain that reminds us of one of our favorite places in the country, Forsyth Park in Savannah, Georgia. As always, we found ourselves a great place to get a burger. 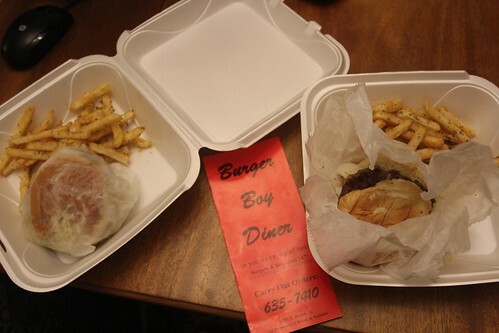 Burger Boy diner in Old Louisville is open 24 hours a day, 7 days a week and they cook up a mean one. Day 82: Kentucky Horse Park in Lexington. 4 Responses to Day 83: First night away from Mali Mish in Louisville. Look for signs for Fudruckers, a hamburger place. It’s a chain. A great place for kids with its arcade games and pnball machines and ice cream. I don’t know if they are out west but they have great burgers and all the fixins. I recommend the Ribeye sandwich myself. I am left in awe with Carrie’s incredibly beautiful Victorian home. How lucky she is! I would give anything for that sink she has in the kitchen!!!!! Dan really does mean it when he says they would prefer to stay in the Mish. 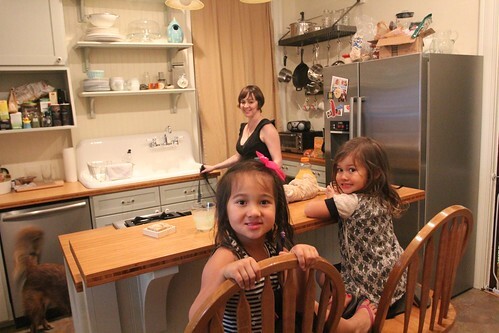 They were the easiest house guests in the world. They just came in to hang out and have dinner. We didn’t have any cleaning up to do after them. Lucy wanted Ava and Mila to have a sleepover but they just stayed up really late instead. All the Mali Mish crew required was a plug. I am glad you are enjoying some brick and mortar living. You need a break from the aluminum now and then. Go ahead and spoil yourself Dan. Get in the clawfoot tub and luxuriate. However, I do not want to see any Instagram photos. Looking forward to seeing you in Kentucky. wow, what a beautiful neighborhood! i would love to tour the victorian homes.. and i know you will be back in indian summer soon, it’s going to be almost 80 at the beach today….